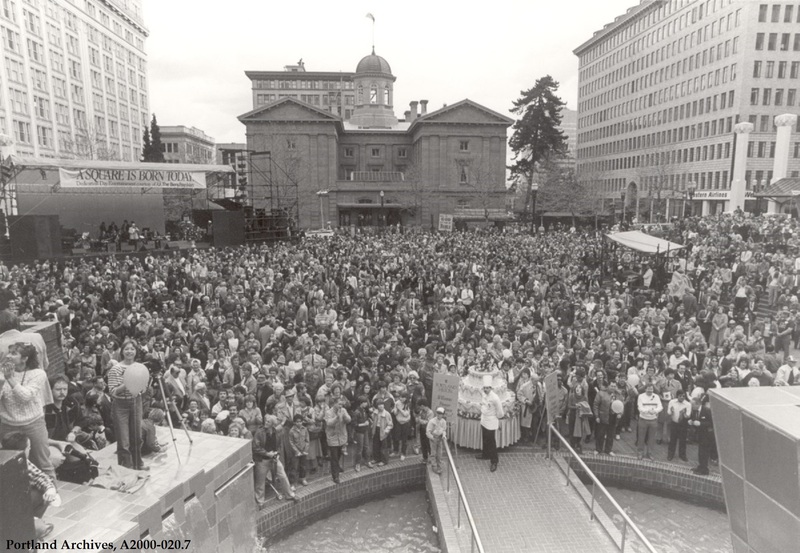 The opening ceremonies for the Pioneer Courthouse Square took place on April 7, 1984. This image does a great job capturing the celebration that took place that day. Last week we saw what the area looked like just nine years prior. We see the square from the west side, looking east, towards the courthouse. Me too. The smiley guy with the bell bottoms. Wasn’t that the Woody Hite big band on the stage? Lovely vintage photograph! It’s such a contrast between then and now.